I was out walking in the Pentlands Hills yesterday. They’re quite close to where I live and I particularly like it when there’s snow on the ground. Rather embarassingly, I’ve been aiming to go over one of the higher hills, which by most standards is still not very high. A couple of weeks ago, I turned back down too soon. Yesterday, I thought I’d gone over it, but when I got home I realised I’d turned down too soon again. At least it gives me an excuse to go out again. The hills ring a reservoir which, yesterday, was mostly covered in ice. 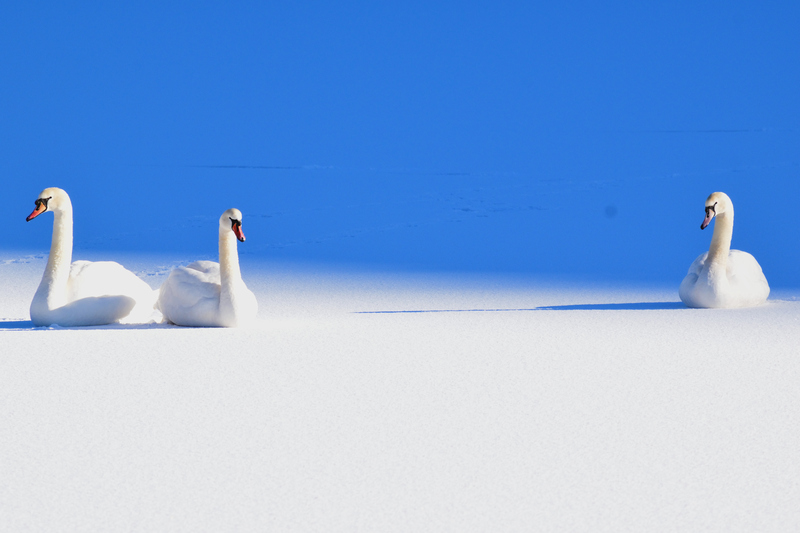 There were some swans sitting on the snow-covered ice, with the shadow of the hills running right behind them. It produced a rather surreal effect, which I tried to capture. I’m not sure I did it justice, but I quite like the photograph anyway. 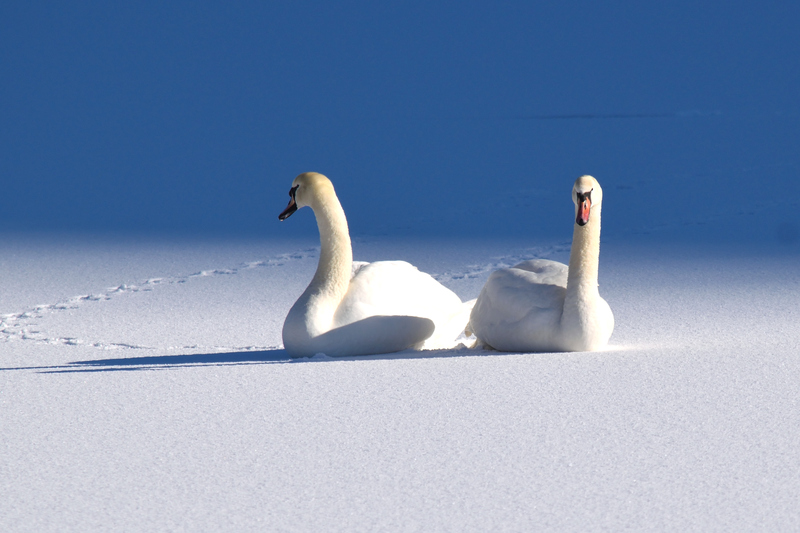 This entry was posted in Personal, Photography and tagged Glencorse reservoir, Midlothian, Pentlands Hills, Swans. Bookmark the permalink. Did the shadows really look that blue to the naked eye, or is that somehow an effect of photography? When I first looked at the photo, I thought that was water behind them. Then I noticed that the shadows of the swans looked blue and thought that was odd, then I read your description that the area behind them was shadow, not water, and realized that it was blue shadows not water behind them also. 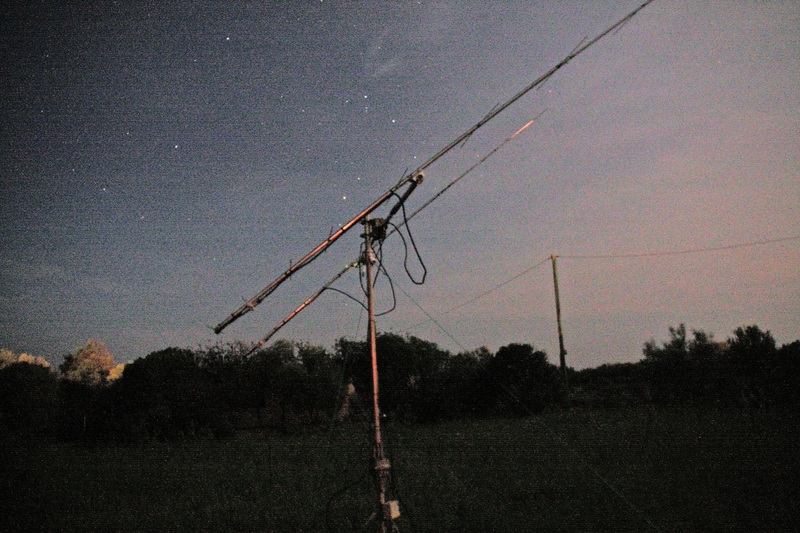 It was quite bright, so it may a looked a bit more washed out in reality, than it does in that photograph. Pretty close, though. I did adjust the brightness and contrast a bit. I’ve posted a slightly darker one below, but I think it probably looked a bit more like the one I included in the post. Perhaps the brightness exaggerated the effect?
. For example, outdoors on a sunny day, shadows can appear to be tinted blue. The shadows appear blue because the bright yellow light from the sun is blocked from the shadow area, leaving only indirect light and blue light from other parts of the sky. oh very nice. well done. As aTTP photographs go, a Black Swan? That’s a really good shot. Like the kind of picture that could make it into a nature calendar or similar. A most impressive pix! Thank you. Good to see that they’ve got mucky necks, just like the ones down south. Presumably because they can’t preen their own necks? Just testing to observe whether or not I am always placed on “moderation” now. No, I think you must have been identified as a new commenter. Once the first comment is approved, the next should be automatically approved, unless they trigger one of the moderation terms. I’ve always thought their necks were deliberately left oily and matted, because they’re always sticking their heads underwater. But then about the only thing I know about swans is that they can break your arm with their wings, Which apparently is an urban myth, at least according to Stephen Fry on QI (I’ve been watching reruns).